Creating the Declaration of Independence, available on Amazon in print and Kindle editions. Thomas Jefferson left the June 12, 1776 meeting of the Second Continental Congress with mixed emotions. His walk from the Pennsylvania State House took him east on Chestnut Street toward the City Tavern. He knew the route well. He had had many informal meetings there with his fellow delegates and was well acquainted with both the fine food and atmosphere. Besides its other qualities, the proprietors made it convenient by allowing him an open account. The walk was short, a couple blocks on Chestnut, right on Third to the half-block cut-off to Walnut. Though short, the walk took him the opposite direction from his apartment at Seventh and High Street. The extra time for him to return there this evening was a bit annoying, as very significant things were happening in his home state of Virginia. The City Tavern meeting was important, but there were so many important things these days. It seemed every time he turned around he was being appointed to another committee at this Congress and Virginia was in the midst of setting up a new government to replace the old colonial order. How he wished to be in Virginia. Jefferson had only been in Philadelphia since May 14th and now he’d been appointed to a committee to draft a declaration in support of a resolution made the previous Friday by his fellow Virginian Richard Henry Lee. Lee introduced the resolution for independence to the Continental Congress last week, and now had to return to Virginia due to an illness of his wife. Jefferson considered that. While pleased his own wife was in fine health, he still envied Lee’s going back to Virginia. In fact the day after Jefferson arrived in Philadelphia, the Virginia Convention had taken two momentous acts. It had declared its own independence from the British Crown and given the delegates here in Philadelphia instructions to introduce the resolution for American independence. Now Virginia was in the midst of drafting and adopting its own constitution. Virginia was where the real action was. 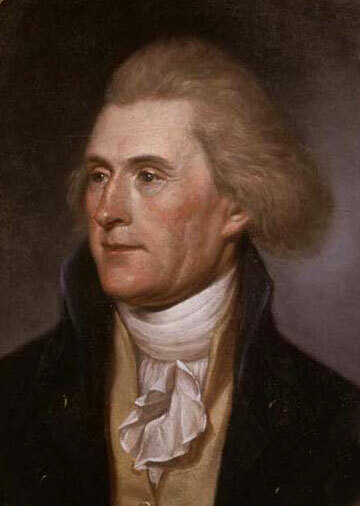 Jefferson had done several drafts of a Virginia constitution himself. His old friend and mentor George Wythe was going back to Virginia in a day or so, and Jefferson was intent on sending his ideas for the Virginia constitution with him. Jefferson hoped his thoughts would find their way into the new Virginia government, but chances would be better if he were there to defend them. There were certainly things of importance in Philadelphia, but Virginia was foremost in Jefferson’s thoughts. 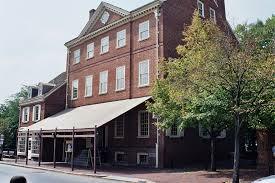 As he made his way to City Tavern, there were other delegates on the street, many with the same destination. It was typical after sessions for many to gather there to talk of the day’s events. Often members of the multitude of committees would meet and pursue their committee work at the tavern. Jefferson noted Pennsylvania’s John Dickinson walking ahead of him with Roger Sherman of Connecticut and Robert Livingston of New York. The three seemed in deep conversation. They had been appointed to a committee to address the second part of Lee’s resolution, drafting a plan of government for the united colonies in the event Congress agreed to independence. Jefferson imagined Dickinson, Sherman and Livingston were already exchanging thoughts on constructing a national government. Sherman and Livingston had been appointed to both Jefferson’s declaration committee and Dickinson’s confederation committee. Sherman and Livingston had chosen to discuss confederation. Jefferson took this as an indication of the import that a written declaration of independence held in their minds. Jefferson and Dickinson had “worked” together nearly a year ago on another Continental Congress document. Jefferson’s experience with Dickinson in creating the “Declaration of the Causes and Necessity for Taking Up Arms” had been a bit contentious. Jefferson’s fellow Virginian George Washington had been made commander-in-chief June 19, 1775. There was a need to explain to many, especially Washington’s troops and potential recruits, why the colonists had formed an army. On June 23, 1775, Congress appointed a committee for drafting a document containing reasons the colonies needed their own army. 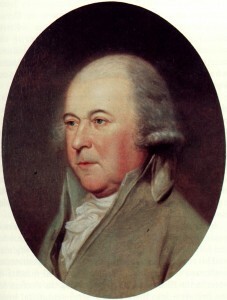 After South Carolina’s John Rutledge had drafted an unacceptable document in a single day, Jefferson and Dickinson were added to the committee. Jefferson remembered the less than collegial “collaboration” with Dickinson in the two weeks it took to get a document in shape. He was glad Dickinson was not on this declaration committee. Jefferson trailed Dickinson, Sherman and Livingston into City Tavern. He watched them join other members of the Confederation Committee to talk over ideas for a national government. Over in a corner he saw John Adams seated alone. Jefferson joined Adams. Jefferson asked Adams: “Will Dr. Franklin be joining us?” Benjamin Franklin was the fifth member of the Declaration Committee, but had seldom been at sessions of late due to a severe flare up of the gout in his right leg. “And Sherman?” Jefferson inquired, knowing that although Adams abrasive manner was disliked by many, he seemed to know everything that was happening. “It’s enough for the declaration to have the input of this New Englander. While I admire Roger’s pragmatism, his skill at motivating men with the written word has its limits. We will pay Roger the appropriate courtesy, but for the moment, it’s us.” Adams himself was thinking he wished to be concentrating on another of his over two dozen committee assignments, particularly the War Committee as it appeared things were soon to literally explode in New York. Jefferson considered Adams’ response. Adams was slow with compliments. Jefferson took Adams’s comments on Sherman’s writing to be an endorsement of his own. In a separate vein Jefferson found writing by committee frustrating. A small committee with the limited involvement of others for such an assignment pleased him. Words came better in a solitary environment, with intermittent mental refreshment from his violin. Adams replied, “First we should order some refreshment and food.” They did, and began a discussion that would have impact around the world. Birthing of the Declaration of Independence continues with Part Two: The Format, and Part Three, Virginia Comes First.